It's throwbacks week. I look forward to this week every month because it gives me a chance to go back down nail polish memory lane. I end up re-discovering so many favorites of past years in nail polish. Today, I have one of my favorite nail polishes of all time to share with you. This China Glaze nail polish probably has the most use out any of my nail polish bottles. I'm about 75% through this entire bottle. It's tried and true favorite the past 7 years and it my love for it hasn't waned. 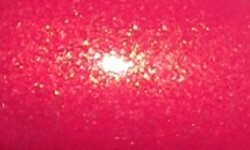 Strawberry Fields is a medium rose pink with a golden glass fleck shimmer. Color: This a type of nail polish color I rarely see anymore, but it's a stunner. 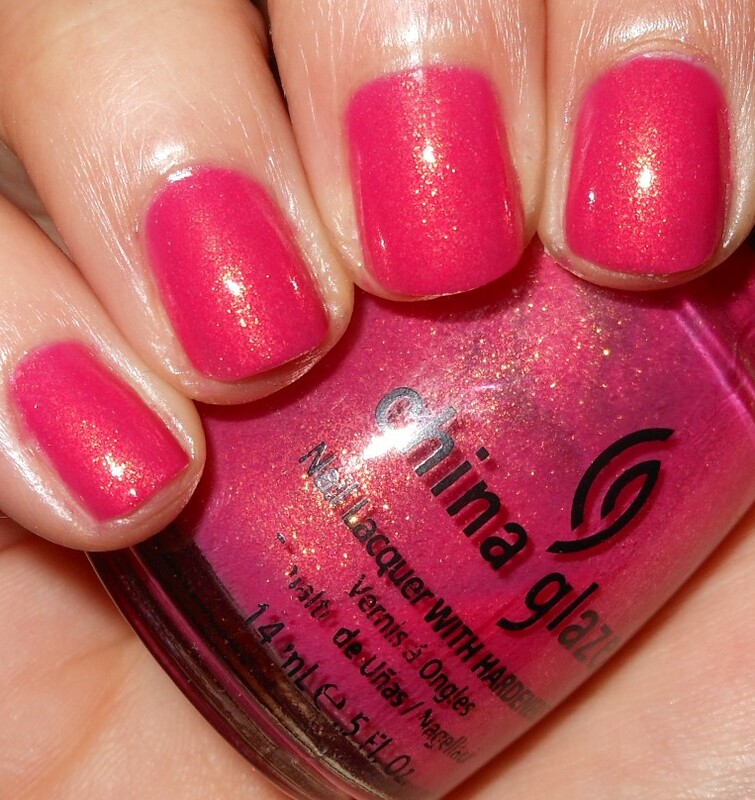 I love this medium shade of pink and that glass fleck shimmer is what makes this so special. I love this pink and gold combination and I love the vibrancy of this shade. Pinks don't just have to be neon, bright, or pastel, there are great in-between pinks too! Formula: This has a nice formula. It is a bit thin, but that is probably from age. It applies easily and smoothly though and I used 3 coats. Price: This one is still available online from various retailers int he $4-$8 range. Overall: Strawberry Fields is one of my go-to spring and summer colors. I've had this color 7 years and it still gets love from me. It's a flattering and fun pink that is unique with that golden shimmer. This is a polish that makes me miss a lot of the polishes from yesteryear. You just don't shimmers like this anymore in the sea of holos and glitters. Shimmers need to make a comeback.